Experience art on the dark side as the Visual & Performing Arts Production Unit (VPAPU) presents its 12th Obra with this year’s theme of Arts & Humanities Movement Through Creative Writing and Painting. Held in the Severino De Las Alas Hall Alumni Building Conference Room B, the event lasts for five days, from November 21 to 26, 8:30 AM to 5 PM. 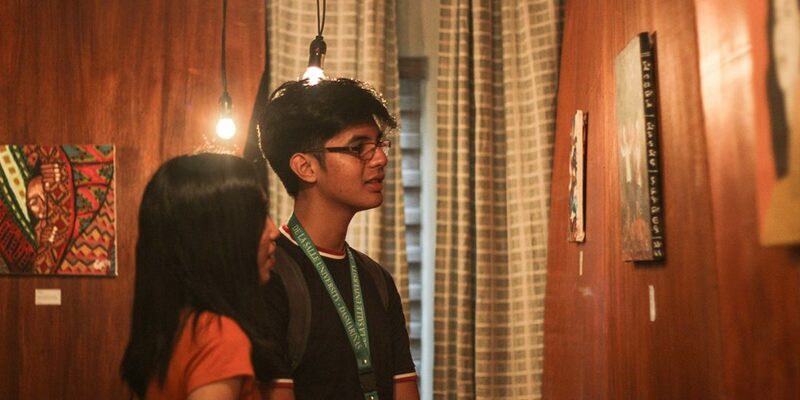 Despite the dimly-lit room, Obra 12 is filled with artworks about the many complicated situations millennials are facing—bringing them to light. 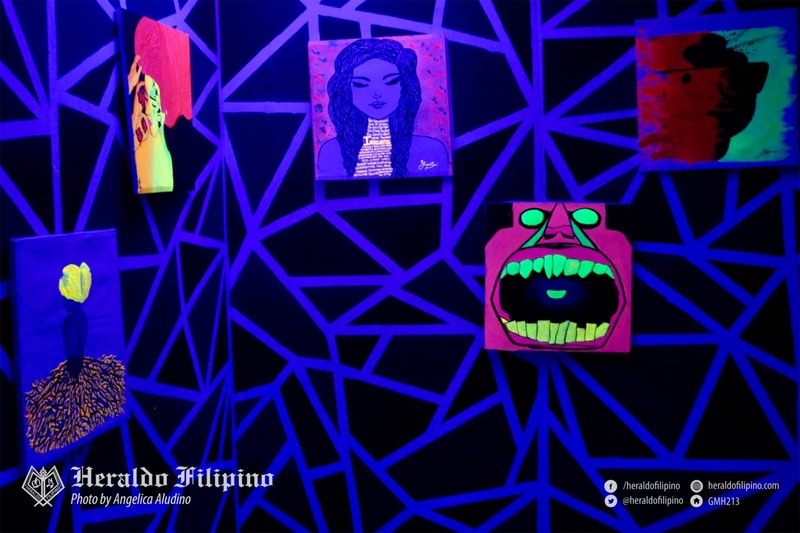 Before entering the exhibit, visitors will have their faces smeared with fluorescent paint—the same paint used for the artworks that you’ll have the pleasure of viewing under the luminescent effect of black light in all its glowing glory. Once inside, you will be toured across the room filled with colorful paintings—with their installation pieces depicting controversial social and intrapersonal issues such as abortion, depression, and identity crisis. Some of these paintings can be taken at face value, while others have an enigmatic charm to them. The room, albeit dark and cold, is decorated with bright, fluorescent paint, so don’t let the darkness fool you. 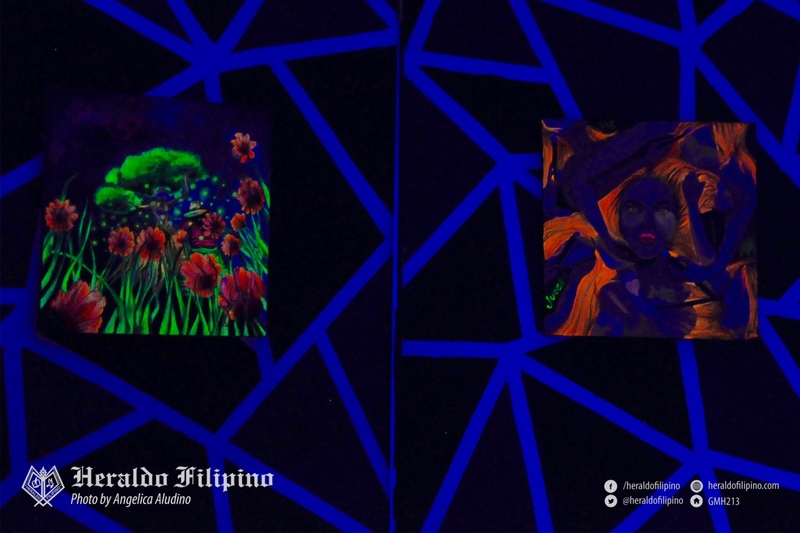 The brain behind the exhibit, Gallery Manager Cheri de Guia, says that this year’s Obra has a wide variation of art styles, a different approach from the previous exhibits. De Guia explains that the Obra she envisioned is more “open,” and not confined by a particular art style. Obra 12 remains true to that notion, providing artworks in different styles and exposing its viewers to a broader, more diverse presentation of art. Like its predecessors, this year’s Obra is not one without its fair share of setbacks. The main trouble is the difficulty of acquiring black light due to its scarcity and price. 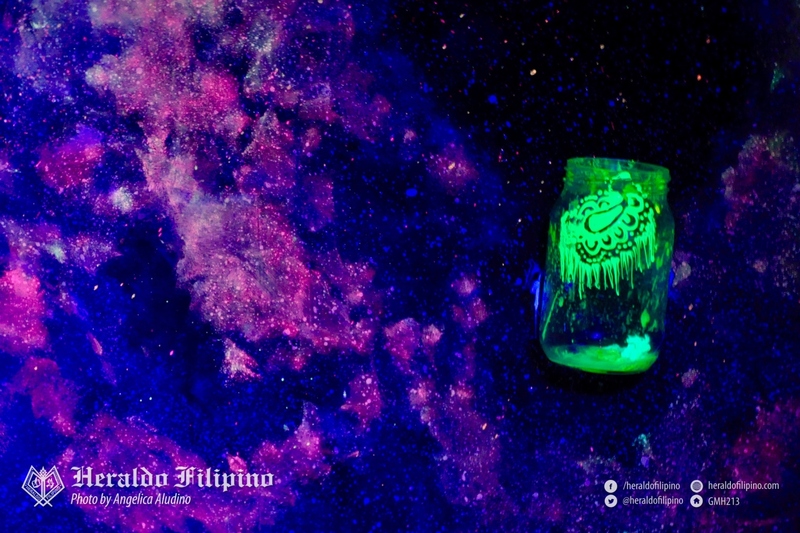 The black light used in the event was shipped from the UK, having arrived in the Philippines only this April, according to De Guia. The other issue is the allotted period for preparation. Unlike the previous Obras which had around a year to prepare, Obra 12 only had two months to set up, making this exhibit a huge race against time. Aside from the astounding creativity, Obra 12 also seeks to impart an important message to its visitors. VPAPU President Henniel Reyes hopes that this exhibit will serve as an eye-opener, raising awareness to the current issues that are highly relevant to our age bracket. It’s no secret that many of us suffer or are aware of psychological illnesses, be it mild or severe. Other morally-challenging struggles are also depicted, like corruption, child abuse, and narcissism—the ugly manifestations of our inner demons. 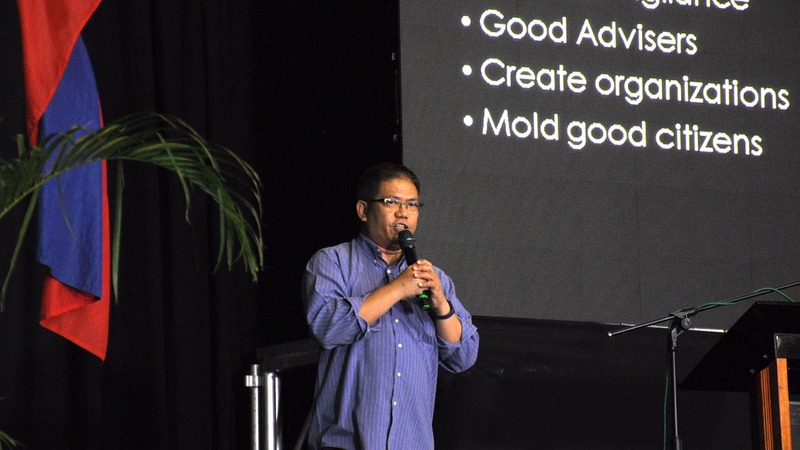 As his foremost wish, Reyes wants the visitors to simply enjoy and appreciate the exhibit. 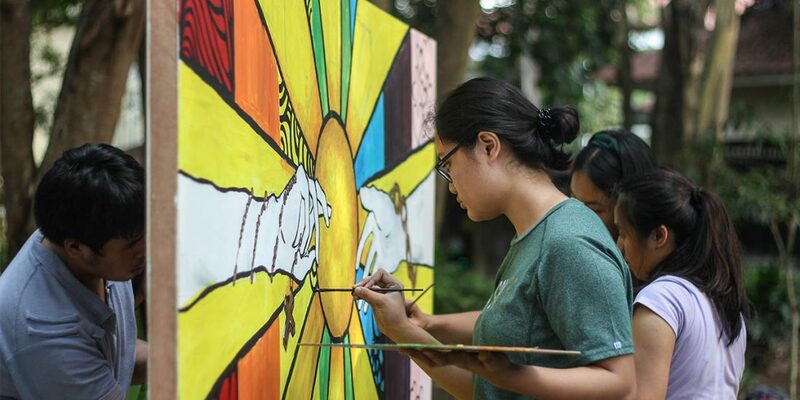 All of the proceeds earned by VPAPU in this exhibit will go to the Lasallian community, acting as a fundraiser for existing and upcoming projects. Savor the experience of the dark, yet colorful mini-museum, and at the same time, giving back to your university—that’s like killing two birds with one stone. Although you might think the future looks dim for us today with the mass mayhem brought about by the country’s political affairs and the disappointing state of the world as a whole, Obra 12 is here to show you a refreshing side of darkness—one that you would definitely #neverforget.